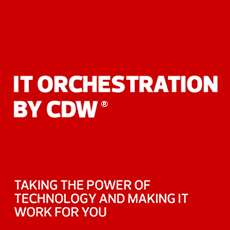 CDW provides our small company the ability to service our customers like a big business. Converged infrastructure (CI) solutions help you cut costs and boost efficiency, freeing up staff to focus on your business goals. Level up with a hyperconverged infrastructure for added scalability. While you focus on your business goals, our comprehensive antivirus suites and firewall software protect your network and devices against malware attacks and other threats. Your business needs computers that are as versatile as you are. Couple convertible laptops with lightning fast, secure wireless solutions and productivity apps you can use on the go. With anywhere, anytime access to email, messaging and files, Microsoft Office 365 offers the flexibility, mobility and security you need to keep your team collaborative and agile. Speak with a technology expert to get IT built for the way you work. We offer solutions that help grow your business. We assess your security and help protect your data. With our free malware scan, you get a network security assessment and analysis from one of our security pros. We make it easier to find a great deal. From printers to projectors, we've got great deals on the products you need to take your business to the next level. We help build an infrastructure that grows with you. Our certified solution architects can work with you to design and build an infrastructure that won't hold you back. Meet mobile work demands and stay productive with lightweight, versatile 2-in-1 notebooks. ASUS ultra-compact, high-powered PCs are suited to a range of business applications. Receive high-performing access points with Cisco innovations. Store all your information safely with high-capacity Quantum hard drives. HP PageWide printers deliver low color cost, maximum uptime and strong security. Get automated backup, recovery, search and data management solutions built for hybrid cloud. WatchGuard security appliances deliver blazing-fast performance and flexible management options. Take the complexity out of IT and increase growth, security and productivity with Cisco solutions.